The Pakistani Prime Minister Nawaz Sharif has said he is trying to revive peace talks between the Afghan government and the Taliban group which was stalled by the announcement of Taliban supreme leader Mullah Mohammad Omar’s death. "The Russian side is committed to support and help Afghanistan in terms of helping its air and military forces," Dostum's spokesman, Sultan Faizy, told RFE/RL by telephone. "We're lacking air support, weapons, ammunition. We need a lot of backing and support to fight against terrorism." 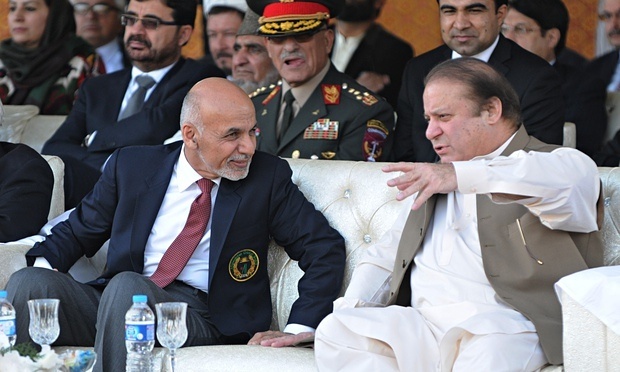 Faizy said that Moscow had promised to evaluate the situation in Afghanistan and "see what they can help with." Russian officials accused Washington of orchestrating the deterioration of security in Afghanistan and the expansion of Islamic State there. “It seems like someone’s hand is pushing freshly trained ISIL fighters to mass along Afghanistan’s northern border. 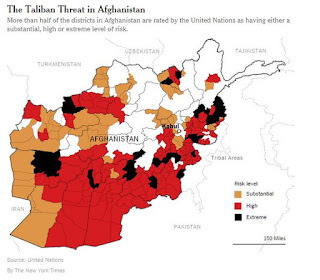 They don’t fight foreign or Afghan government troops,” Kabulov said. He added that on several occasions Taliban groups that refused to join Islamic State were “set up” to be targeted by airstrikes. “The Afghan Army practically has no aircraft. Only the Americans do. These details bring some very bad thoughts and concerns. We have to take them into account and draw conclusions accordingly,” he said. President Emomali Rahmon has said Tajikistan was "extremely concerned" about the situation along the Tajik-Afghan border. 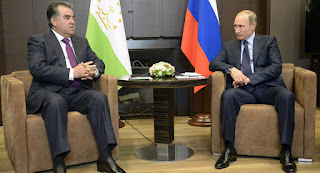 During a meeting with Russian President Vladimir Putin in the Black Sea resort of Sochi on October 6, Rahmon said the situation in Afghanistan was "getting worse by the day." "Practically, fighting is going on along more than 60 percent of the Tajik border with Afghanistan," he added. A court at Russian’s military base in Tajikistan has delivered a judgment over the case of Russian officer Denis Borisenko, who was charged with assaulting a Tajik taxi driver and stealing his vehicle. Under a ruling handed down at the court at the Russian military base, Senior Lieutenant Denis Borisenko was sacked and he will pay compensation (60,000 Russian rubles (RR) to local tax driver Dilshod Khoushov. According to investigators, Borisenko was drunk when he attacked Khoushov and drove away in his car. Borisenko later hit another vehicle and was detained at the scene. Tajik prosecutors say 23 top officials of the banned Islamic Renaissance Party of Tajikistan (HNIT) have been arrested, many on suspicion of leading a deadly mutiny by a serving deputy defense minister in early September. The Tajik Prosecutor-General's Office said on October 6 that criminal probes are under way against the party officials who face charges including terrorism, inciting religious and racial hatred, and attempting to seize power by force. Many also face forgery, fraud, and other economic crime charges. The Free Democrats has rejected a proposal by the National Movement to hold a snap election one year before the next scheduled one. Georgia is not likely to get NATO Membership Action Plan (MAP) at the alliance’s summit next year in Warsaw, Deputy Foreign Minister, Davit Dondua, said. 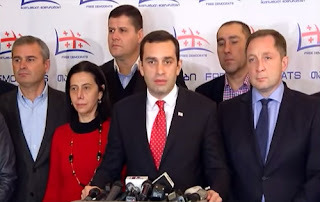 According to him the Georgian officials and diplomats’ rhetoric abroad in communication with NATO partners is different from messages they try to use for domestic consumption in Georgia. He said that although knowing that there is a little chance for MAP, Georgia is still pushing the issue intensively in its talks with NATO partners as a “bargaining” tool in order to then get at least something; but domestically, he said, the authorities do not want to prioritize MAP in order not to create false expectations, because it will then cause frustration, which will be exploited by the “Russian propaganda” in Georgia. “We have permanent contacts with our American colleagues, who are asking us to refrain from full-scale cooperation with Iran and from becoming open [for Iran] for now – until all the commitments agreed in Vienna are fulfilled and until Iran is given final green light,” Dondua said on October 9. “We are telling our American and other friends that we remain committed to the policy and sanctions pursued by [the West] in respect of Iran, but you should also take into consideration specifics of Georgia’s situation. Iran is a regional state, our important partner, including from the economic point of view, and we want some sort of space for maneuvering,” Dondua said.